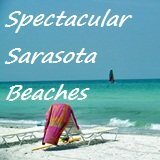 Sarasota Events Calendar - Fun things to do in Sarasota and the Sun Coast. the Sun Coast for free or inexpensively! A sleepy beach side retirement community - NOT! My Sarasota Events Calendar will keep you running and up to date on fun things to do all over the Sun Coast. 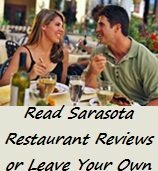 If you like the thought of being busy, there's a lot to do here throughout the year...there are things to do in Sarasota almost all the time! 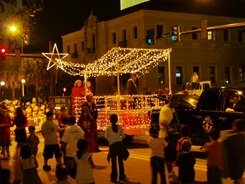 Most Sarasota happenings take place during the fall, winter and spring, as summer, especially after the 4th of July, tends to really wind down from high season and snow bird season. But not for long, as things really pick up again in September and heading into Autumn. These pages are updated frequently. 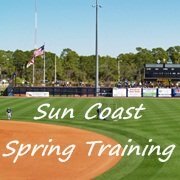 On occasion, new events and updates are added even on the day of the scheduled event, in an attempt to have the best coverage of free or inexpensive fun events and things to do in Sarasota and around the sun coast region. 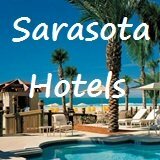 While Sarasota may once have been that sleepy little seaside community decades ago, it is now known as a hip, hot, fun, happenin' place to be, especially during "season!" Enjoy! 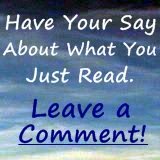 © Copyright 2007-2019 www.Escape-to-Sarasota.com LLC. All Rights Reserved. This site is protected under U.S. and International Copyright laws. DO NOT COPY FROM THIS SITE. January features the kickoff to another great year of events from outdoor open air arts and crafts shows to the Manatee County Fair, the Circus Ring of Fame Induction Ceremony and the Sarasota Native American Indian Festival, another immensely popular multi-day festival, usually at the Sarasota Fairgrounds. 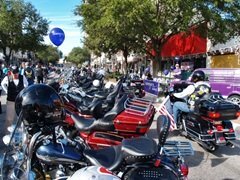 February... the Sarasota Motorcycle Festival known as "Thunder By The Bay" Music and Motorcycle Festival moved from January to February in 2017. And you don't have to be a biker to enjoy this fest. Plus there are vendors and lots of fun things to take in over the three day fest which includes a “Born To Be Wild” Kickoff Party, live music and the festival portion at the Sarasota County Fairgrounds. 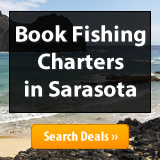 There are numerous recurring, fun Events in Sarasota to attend throughout the year. Click here for my list of recurring Events in Sarasota! May...Early May brings out the creative folks to Siesta Key Beach for the Annual Sand Sculpting Contest and even if you don't have the knack to participate you can come for free as a spectator and take a look at how many really talented people there are who can creatively carve something out of the sand. May ends with traditional Memorial Day parades, tributes honoring the nation's fallen heroes and the holiday weekend is usually filled with traditional events to herald in the start of summer. July... Along the Sarasota sun coast Fourth of July is about as big as it gets anywhere. With festivals, events, parades and fireworks throughout the region...find out more about our Sarasota Fourth of July events...which usually cover multiple days of fireworks displays in various locations..
December...And of course each December the official Sarasota Holiday Parade heralds in the start of the Holiday Season in Sarasota with thousands lining the downtown streets. We also cover a multitude of additional holiday events from street parades and boat parades to holiday festivals of music and fun...and of course we cover the closing events of the year as we ring in a new year on New Year's Eve at midnight. 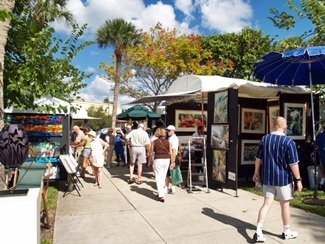 The year is also filled with arts and crafts shows, too many to count, on the streets of Sarasota, St. Armand's Circle and Historic Downtown Venice as well as Anna Maria Island plus there are concerts, outdoor festivals and much, much more. 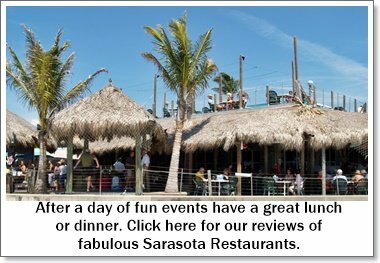 My Sarasota Events Calendar is your gateway to Sarasota happenings and fun things to do in Sarasota, Florida and throughout the sparkling Sun Coast each year. 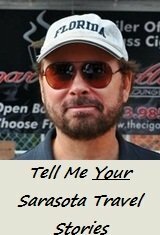 Enjoy, have a great time and if you bump into me on the street at one of our great Sarasota events, please stop and say hello. By the way...There are numerous recurring, fun events to attend throughout the year. Click here for my list of recurring Events in Sarasota! And, don't forget that no matter what you choose to do from my Sarasota Events Calendar, throughout the year, have a GOOD TIME!